Protect the interior of your Mokka from rain, snow and debris with our All Weather Rubber Mats. 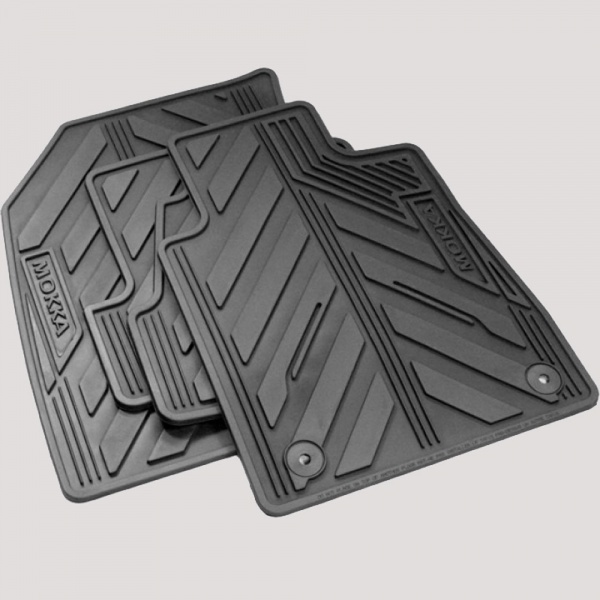 These Mokka Mats are black and feature the Mokka Logo on both the front Mats. The mats are tailor made and are easy to install with the Vauxhall standard attachment system.